Wijs & Zonen Tea? Buy Wijs & Zonen Tea quickly safely! Wijs & Zonen is an incredibly nice and fascinating tea company due to the many, sometimes decades, existing (international) relationships with customers, suppliers and colleague companies. Wijs en Zonen still have many customers in the Netherlands, Germany and Switzerland. Wijs & Zonen is also sold in Japan and in the United States. 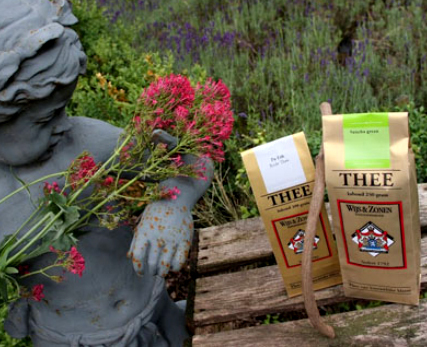 Wijs & Zonen has been importing her own tea for hundreds of years. Sometimes they get something very special. A really nice harvest from a certain plantation or something from a tea master who creates a tea for a special occasion. Le-Connaisseur is a culinary webshop mainly focused on Wine, Champagne, Port, Sherry and Relation Gifts. Keeping up to date with the latest news? Always receive the latest discounts? Sign up now!